Jungle justice everywhere. People become very mean while dealing with others, the security agencies inclusive. I read a sad story about some young guys that were involved in an accident while driving on the wrong lane. These guys were dying and all the police could say was that “the deserved to die since the used the wrong lane”. That is the kind of people we have become. This is really pathetic indeed. God help us. Its a very puzzling question. And even more puzzling is the question “how will we stop being like this?”. Anger, hatred and revenge has eaten deep into our souls. When did we become like this? How did we get to this point as humans? We are a product of our environment. If the environment is chaotic and destructive, the people will be the same. Why is it that some of us are not like this? Most probably because we made a conscious effort to live above our current environment. This could be as a result of experience in other sane environment and refusing to return to status quo in this insane environment, or a supernatural change of Heart inspired by a spiritual/celestial encounter with a higher Being. This is a result of broken down systems in the government and by extension the society. If the government is functioning properly and laws are fair and enforced, we will not be like this. For example, if traffic offenders are punished by the full extent of traffic laws, I am sure the driver won’t be doing a 120km/hr on a 60km/hr road. 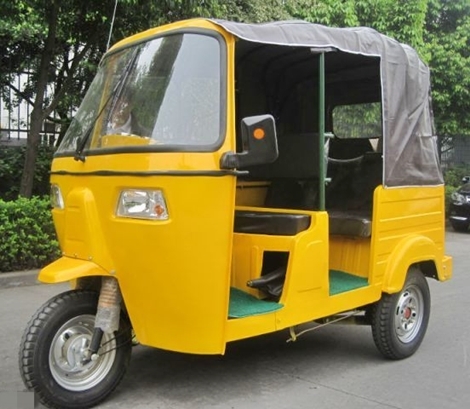 Also if we have a functional government with robust transportation policies in our cities, “keke” would not be picking up passengers on that road. Thank you Deji for insight into this.